More than 1,300 early-career scientists have signed an open letter to Justin Trudeau and several of his ministers saying environmental assessments need a "higher bar." Hundreds of young Canadian scientists have signed an open letter to Prime Minister Justin Trudeau and several of his ministers, calling on Ottawa to make changes to "rebuild public trust" in environmental assessments. The letter, signed by assistant professors, post-doctoral fellows and graduate students across Canada, was sparked by concerns about the federal reviews of the Pacific NorthWest LNG terminal, Site C dam, Northern Gateway pipeline and other projects. "We are concerned that current environmental assessments ... lack scientific rigour, with significant consequences for the health and environment of all Canadians," the letter states. 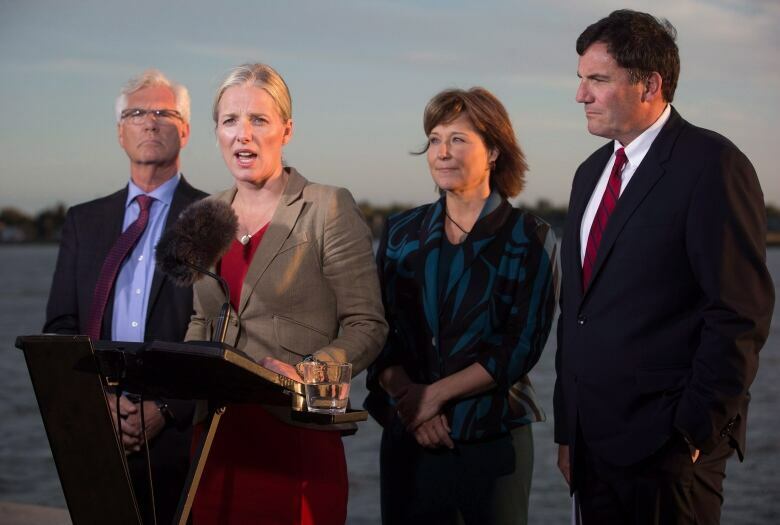 The Liberals are currently reviewing how environmental assessments are done, and the letter is an attempt to be "part of the solution," the letter's lead author Aerin Jacob, a post-doctoral fellow at the University of Victoria, said. In her "wildest dreams," she had hoped for 1,000 signatures on the document, but by Monday afternoon it had already reached 1,300 and continued to climb, she said. "The decisions that are being made about these large-scale, long term projects are so important that they deserve a higher bar," Jacob said. 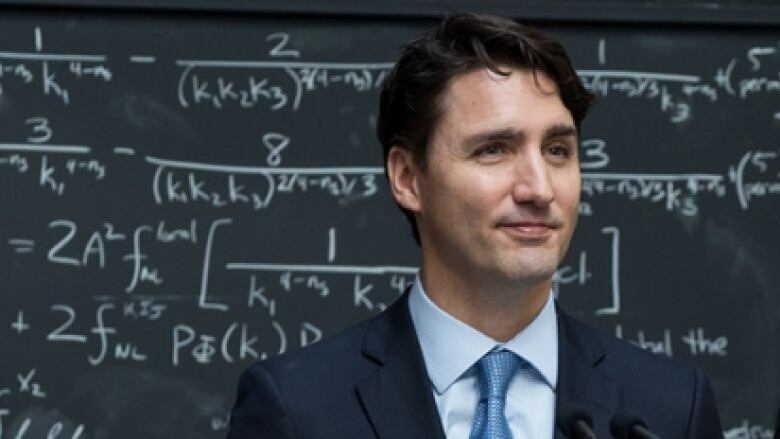 Trudeau's government has been praised by the scientific community for unmuzzling federal scientists, creating a science ministry, increasing funding for basic research and reinstating the long-form census. But now, as decisions loom on major natural resource projects, the letter says changes are needed "to help rebuild public trust in robust, open and fair decision-making." Among them: more transparency about what role scientific evidence plays relative to economic interests and other factors. Jacob points to the recent approval, with conditions, of the controversial Pacific NorthWest LNG terminal near Prince Rupert, B.C. Scientists, Indigenous leaders and others raised concerns that the terminal's location — on the mouth of the Skeena River estuary — would hurt juvenile wild salmon that use those waters as nursery grounds. But the government concluded the project, with mitigation efforts, wasn't likely to harm the fish. "We know that science isn't the only thing that's at the table," Jacob said. The letter isn't arguing it should be, but the signatories want a "full, transparent" rationale for the decision. "Because we can't see how the decision was made and because we can't see what was traded off, we don't know what role the best available evidence played." The letter also calls for more to be done to avoid conflicts of interest, and consideration of cumulative impacts — such as the downstream greenhouse gas emissions from a pipeline designed to get fossil fuel to market. 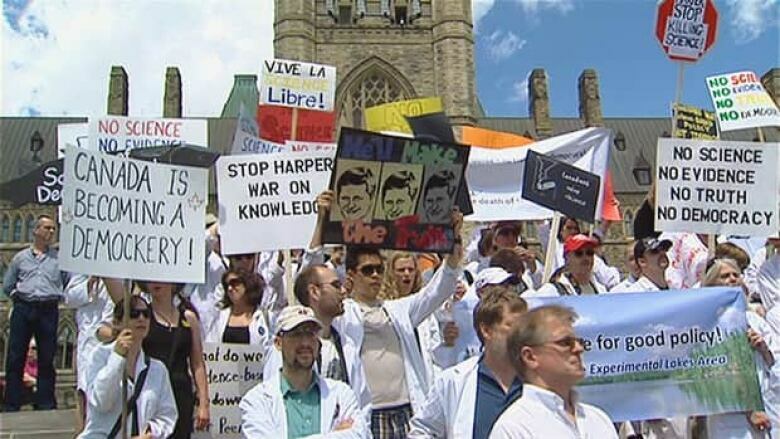 The Liberal government has said it wants a "co-ordinated, open and transparent process that incorporates scientific evidence" as well as the views of Canadians. In response to the letter, the Ministry of Environment and Climate Change said all input is helpful as it conducts its review of the federal environmental assessment process, aiming "to build a system that Canadians trust." "Our Government strongly supports scientific research and knows that scientific evidence should inform decision-making," said the ministry statement. "The goal is to develop new, fair processes that are robust, incorporate scientific evidence, protect our environment, respect the rights of Indigenous peoples, and support economic growth." An expert panel is traveling the country now gathering input, and is expected to deliver recommendations to the minister in early 2017. Jacob said the young scientists want to work with the government to improve the process. "We really want to use our scientific training and knowledge to be part of a change." She said some senior scientists have been supportive, while others have cautioned her and co-authors to "keep your head down, stay in the lab" and get tenure before speaking up. "That's not good enough for us," Jacob said. "We're early career researchers who have a huge personal stake in this. … We're the ones who will have to live with the consequences for a lot longer."